Now there is a Tarot Sketchbook specifically for making your own tarot deck. This handy Tarot Sketchbook has guidelines that keep you in the correct proportions, and keep your lettering and numbering consistent. Has enough pages for 2 full decks. Carry this around and draw them out in your spare time then scan and print them professionally! 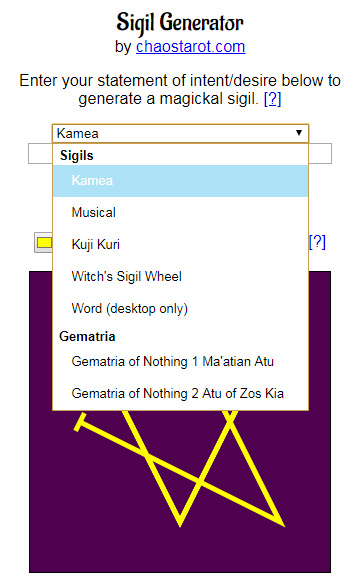 I have launched a word method sigil generator capable of removing duplicates, vowels, and letting you stretch and flip the letters into a sigil as described in Liber Null. 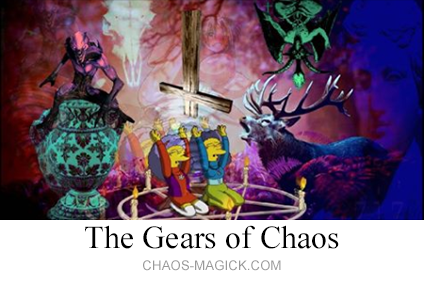 While I have learned a lot about Chaos Magick, I still have a lot to learn. This page is so that you can join me on that journey. Maybe you are a little ahead or behind me, that’s great, we can teach each other! I originally snagged this domain as the home page of a chaos magick tarot deck but I think I am going to just use it for everything I do that is magick related. I am a web coder so expect some fun tools!